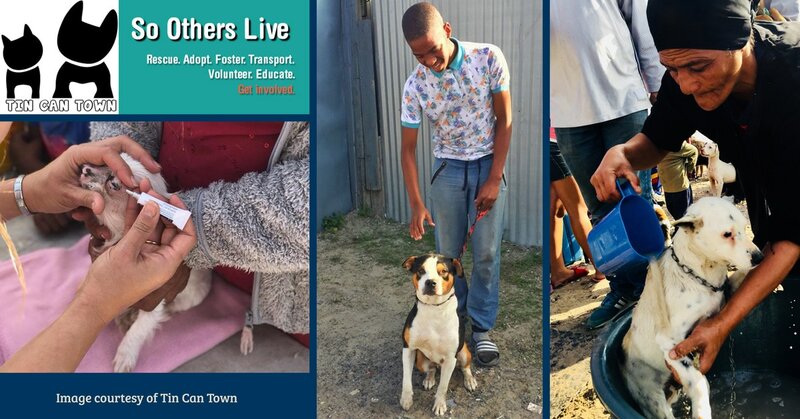 For the Tin Can Town team working in Blikkiesdorp on the outskirts of Delft, every dog saved is a reason to celebrate. Our JOCK representative, accompanied the dedicated team on an outreach to witness how they help a community of animal lovers to care for their furry friends. So when Tin Can Town’s convoy arrives at Blikkiesdorp, the excitement is palpable. Children with dogs are everywhere. Rosie Kunneke and her team greet an old one-eyed dog like an old friend and check its condition before cutting off some dreadlocks that have formed in its bushy coat. When the veterinarian’s table is set-up, long queues quickly form. Children and adults alike wait patiently, cradling puppies and sick dogs protectively in their arms. Most of the roughly 200 people in the queue are people with very little material possessions or financial wealth. Yet the love for their dogs is abundant. “His name is Opgetel (Picked up),” says a man with a broad smile, proudly holding a beautiful Africanis in his arms. It is obvious that the locals know Rosie and her team, and trust them. Every second Sunday, the team visits Blikkiesdorp to provide primary care — deworming, tick and flea treatment, vaccinations and small food parcels. 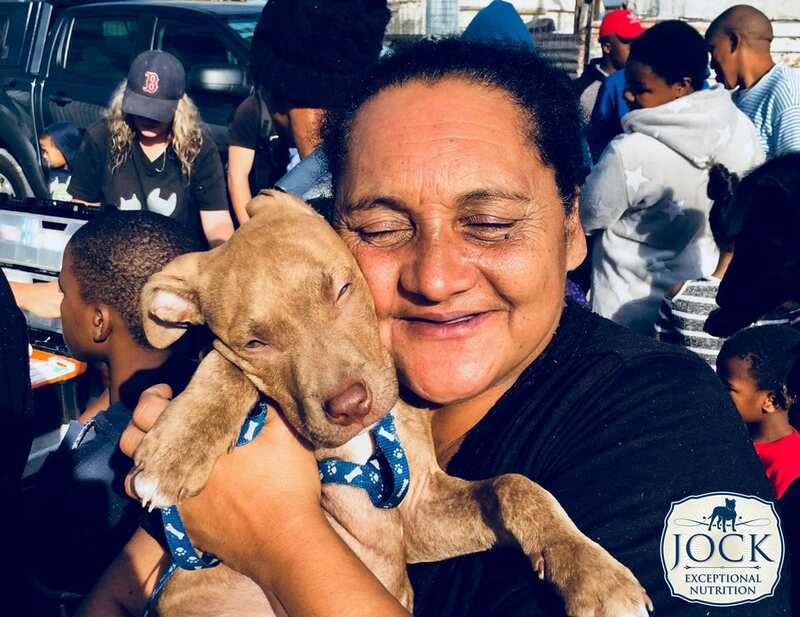 The very sick animals get taken to SPCA Grassy Park’s clinic where they are treated and then reunited with their owners. Tin Can Town also helps with rehoming abused or neglected animals and run a sterilization programme to help prevent over-population. Every sterilized dog receives a wooden kennel. Incredibly, the whole Tin Can Town team works as volunteers, with no office or infrastructure apart from the transport that the volunteers donate free of charge, and no admin fees or salaries. Yet one of the biggest problems they face is funding. A single tray of vaccinations (for 25 dogs only) is R1 200 a pop, and veterinary bills at the clinic — even at reduced welfare rates — can be substantial. Yet, watching the team mingling with the worried owners — giving advice, offering empathy and providing invaluable medical treatment — one doesn’t even smell a whiff of cynicism. For Rosie, veterinarian Dr Rozanne Visser, Dinielle Stockigt, Clarina Hanekom and the other volunteers — Ashley, Vickie, Carol and Candice — it’s just something they do because they are human.